This branch (sect or whatever you want to call it) of the Tollefson Family descends from Tollef Lindem Tollefson. Tollef Lindem Tollefson was born March 3rd, 1829 in Norway to Tollef and Kari (Torstens) Tollefson. Tollef immigrated from Norway in 1839. (Various immigration records also state 1844 and 1849, but for now, I will stick with 1839 until more proof is found.) Tollef immigrated with his parents and brothers, Rollef Lindem Tollefson and Christopher Lindem Tollefson. Records show that they immigrated in Wisconsin. The time spent in Wisconsin is unknown. The family eventually settled outside of Elk Point, Dakota Territory (South Dakota). Tollef Lindem Tollefson married Annie Linegan Brynjuldsen in September 1852. Tollef and Annie had 8 children: Nelse, Charles William, Ole, Caroline, Mary Ann, Rebecca, Anna, and Tollef Edward (aka Edward Tollef Tollefson). The middle name of Lindem comes from the farm that Tollef Tollefson was living on. The Lindem Farm was Farm number 12, in the Lunde Parish, part of the Lunde Municipality, in Bratsberg amt. Bratsberg amt is now Telemark County and City of Lunde is now Nome, Norway. Based on the time that Tollef actually lived there, the municipality may have actually been called Bø, because the area of Lunde was separated from Bø in 1867 to become a separate municipality. 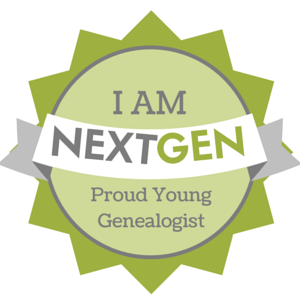 Visit our Genealogy page for more family history. Tollef Edward Tollefson was the son of Tollef Lindem Tollefson and Anne L. Loiningen, was born in Dodge County, Wisconsin, March 8, 1859. In 1870 at the age of ten years he came with his family to Dakota Territory where they made their homes on the banks of the Brule Creek near Richland, Union County. He was married to Alie Adelaide Olson, December 30, 1882, and then lived for a time in the western park of Elk Point Township. Later he build a home on a farm near Richland where he lived until 1915, when he prepared a home for his declining years in Elk Point. They he died November 4, 1921. Mr. Tollefson leaves besides his aged parents, a wife and three children, Victor Edward of Elk Point, Maude Amelia now of new York, and Beatrice Alace, living on the home farm; also two grandchildren. He is survived by three brothers, Nels of Sioux City, Charles of Elk Point, and Ole of Woonsocket, and four sisters, Mrs. Albert Perkins of Waukesha, Wis., Mrs. H. L. Collins of Vermillion, Mrs. C. B. Smith of Fairburn, S. D., and Mrs. Wm. Headley of Orlando, Fla.
Mr. Tollefson was a man of very active and ambitious temperment. He was constructive, building in life three times a home on new land and beautifying each with trees and roads. He was liberal and progressive in thought and dealt with fellow men as with friends, never with the view of profiting by them. He was a tender son and father, a devoted husband and brother. he bore his distressing illness with exemplary patience, and died trusting in the salvation through Jesus Christ. The funeral was held at the home of the deceased and was largely attended by old friends and neighbors from the surrounding country and town. Rev. A. L. Bergsaker of the Lutheran church conducted the services, the music was supplied by the mail quartet of the St. Paul Lutheran church and miss Alice Barr of Yankton College accompanied by Miss Cora Gunderson. The out of town friends in attendance were Dr. Hyden of Alcester, Mrs. S. E. Brookman of Vermillion, and Mr. and Mrs. Wm. Shearon and son of Sioux City.